First time wearing progressive lenses in Malaysia. How long to adjust? If you’re wearing progressive lenses for the first time, the info here will help you adjust to your new pair of glasses. As a first time user of progressive lenses, you will get to learn info about these glasses. When should you use progressive lenses? To recap, progressive lenses are commonly used to provide conveniency presbyopia sufferers (reading issue) without having the trouble to keep interchanging between reading glasses and regular glasses. To answer who needs progressive lenses or who ought to get this sort lenses in one short sentence isn’t conceivable. These progressive glasses help with such a large variety of situations and provide huge convenience. The vast majority could gain benefit by a bit of “support” in close vision, up to a point one can become dependant on it because it can have amplification effect on words during reading. Hence, most specialists would not prescribe progressive glasses, withholding up until the point that presbyopia has started within an individual. You don’t need to suffer from a serious condition to exploit the innovation pumped into designing progressive lenses. In the event that you need to keep putting on and off reading glasses, progressive glasses could be the solution. Now you can follow these 4 simple steps to quickly get used to wearing progressive lenses for the first timers. First thing first, be open minded and acceptance of the progressive lens. The optician must have explained how progressive lens being designed, thus it’s important to accept the idea. When you first put on the progressive glasses, look far away. Make sure that the distant vision is sharp. Then look down by turning your eyes instead of tilting your head. You should not feel much distortion. In fact, you’ll realise that the small wordings on phone or book are now sharper than ever. Congratulation, you have utilised the reading area of the glasses. Repeat this up and down eye movement to gauge the prescription of respective distance. You may then look to the left and right to acknowledge the blurred vision. Do not do it too fast as you may feel giddy or headache. Peripheral visions are distorted and it takes time to get used to it. After you are comfortable with the points, you may now walk around with the glasses, and also try taking staircase. This is for you to try out the depth perception. Until you’re confident with glasses, you may then try wearing it for driving. Regular wear. Wear them as regularly as you can and abstain from wearing different glasses (particularly your old glasses). 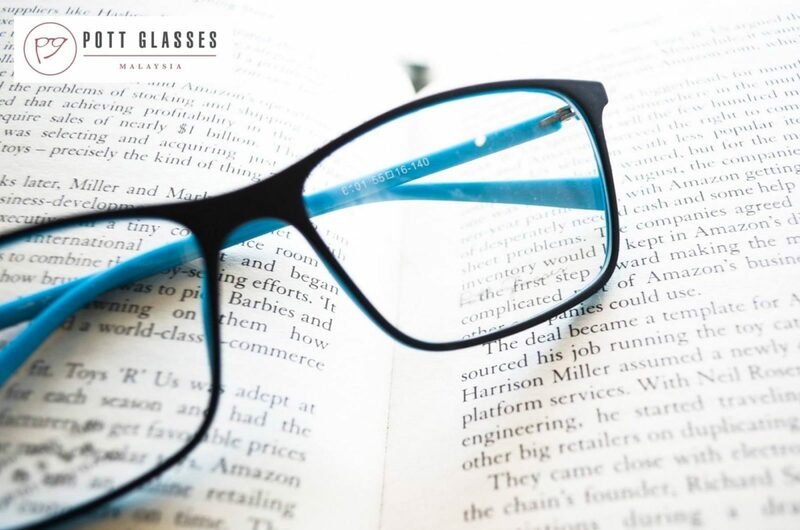 One of the main reasons people like progressive glasses is that he or she does not need to keep switching between reading glasses and a regular one or taking it on and off, which not only troublesome, it is also a sign of presbyopia sufferer. We all want to look young and to be perceived young, thus a pair of up to trend progressive glasses is definitely the way to go. Practice the 2020 rule. Take 20 seconds to look at something far away after 20 minutes of intense reading or computer time. Look straight, for everything especially computer time, phone time, or reading time. In case you’re working on a PC, alter the seat level and adjust the height of your screen to give you straight view. Specialists suggest turning into a “head-turner” rather than an “eye-mover” when wearing progressive lenses. Don’t roll your eyes so much! Try not to look through the sides of the glasses too, as (peripheral) side vision through progressive lenses are distorted. It may take some time to get used to progressive glasses, but once you get used to it, you will enjoy the convenience. If you’d like to know more about progressive glasses, feel free to make an appointment to visit our outlets.